Love the ‘duck-egg’ blue Soumah labels. Great colour and full of information. 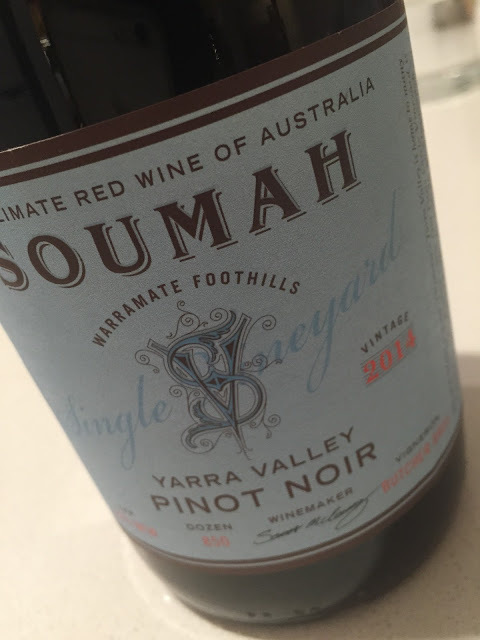 This single vineyard Pinot, for instance has a pH (3.60) and TA (6.61). Small details, but I love knowing them. Curious wine this though. Odd. Ruby red coloured, the ripe, glacé fruit nose is such a counter to the low alcohol. Lots of red fruit. Yet the palate is hard and dusty – it tastes flat and lacks fruit generosity, the finish tight and awkward.